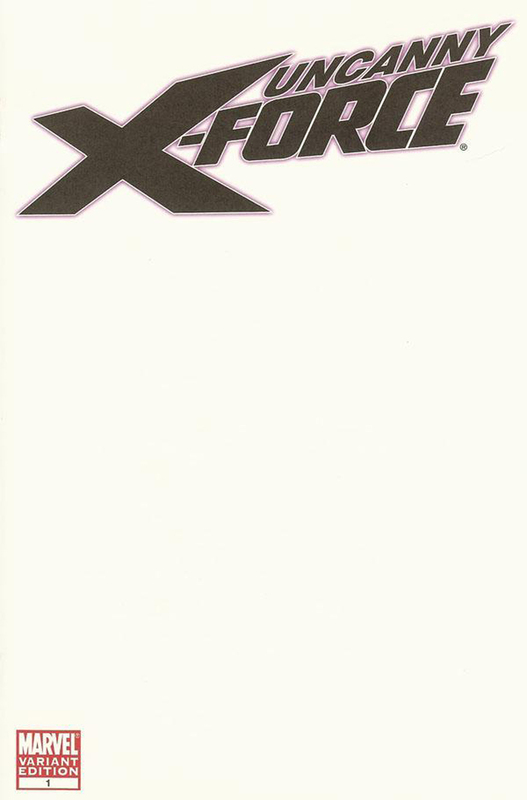 That X-Force series (volume 3) was written from start to finish by Craig Kyle and Chris Yost and had a clear purpose taking it through its conclusion in Second Coming, much like Duane Swierczynski’s Cable series. 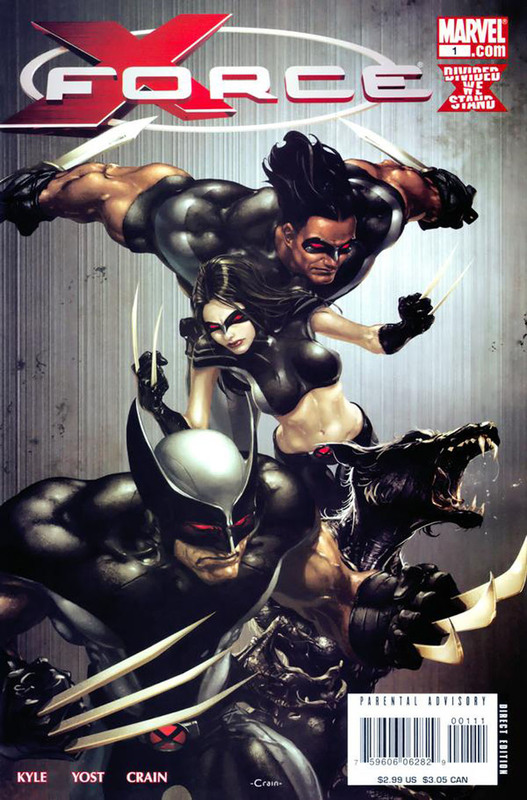 In order to defend their dwindling species, Cyclops and Wolverine assembled a secret team of operatives to eliminate threats before they attacked the X-Men. 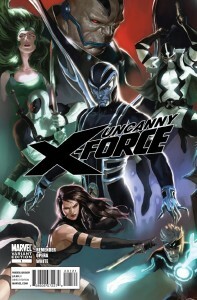 This led to some fallout when their actions were discovered and Cyclops disbanded the team with Hope’s return and Bastion’s defeat. 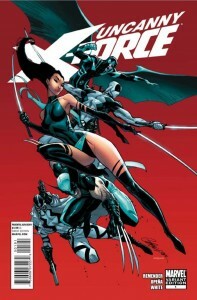 The launch of Uncanny X-Force continues on this theme with the exception that Wolverine is keeping the strikeforce in place without Cyclops’ knowledge. This is sure to cause no end of problems down the line. 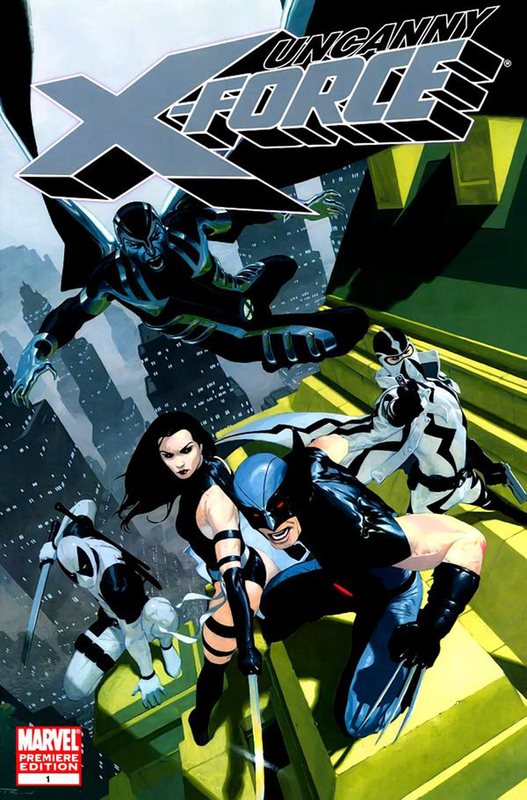 Wolverine’s team of agents (which was a secret when the series was first announced) is incredibly interesting in that it keeps Archangel in the mix (he and Wolverine have always hated one another), and adds Psylocke, Deadpool and Fantomex to the group. Archangel’s recent transformation back into his metal wings and blue skin appearance, along with the bloodlust that comes with it, is one of many wild cards for this team. When written properly, Wolverine isn’t that much more stable and the two of them leading this group could get out of control. 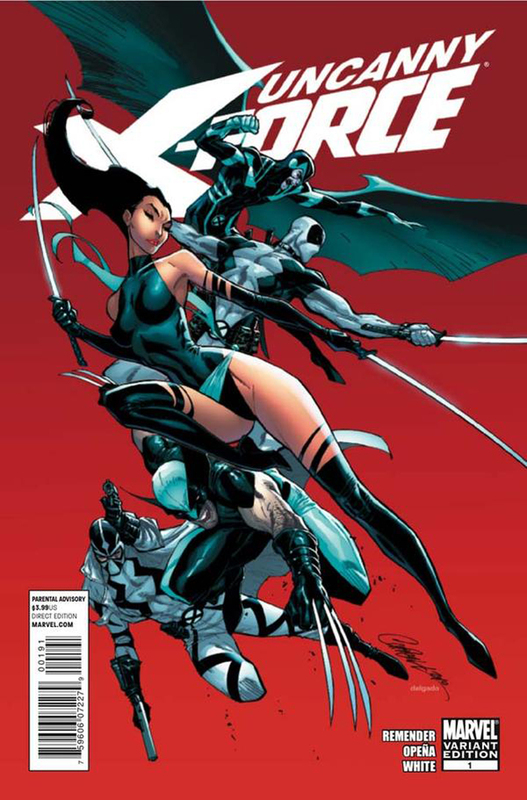 Archangel’s past romance with Psylocke will surely raise issues for the group and she has been put through a number of trials recently by her own demons. 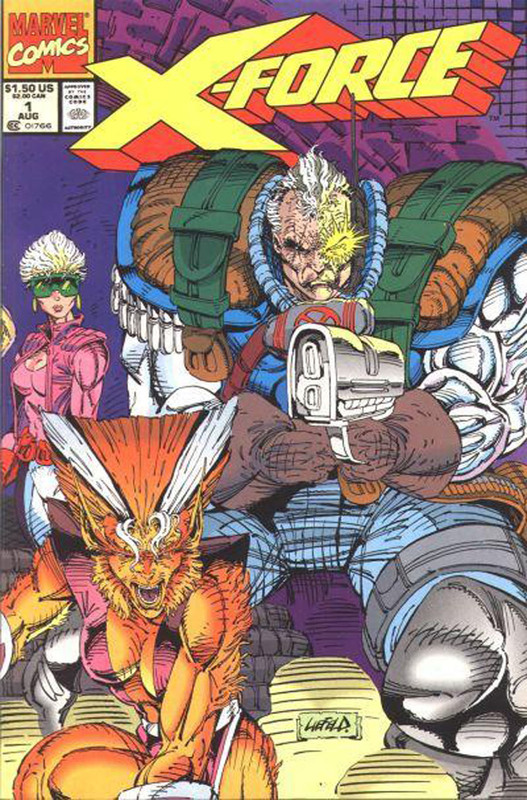 It’s great to see a Liefeld creation from the era of the original X-Force make an appearance in the form of Deadpool, and he continues the theme of mental instability. 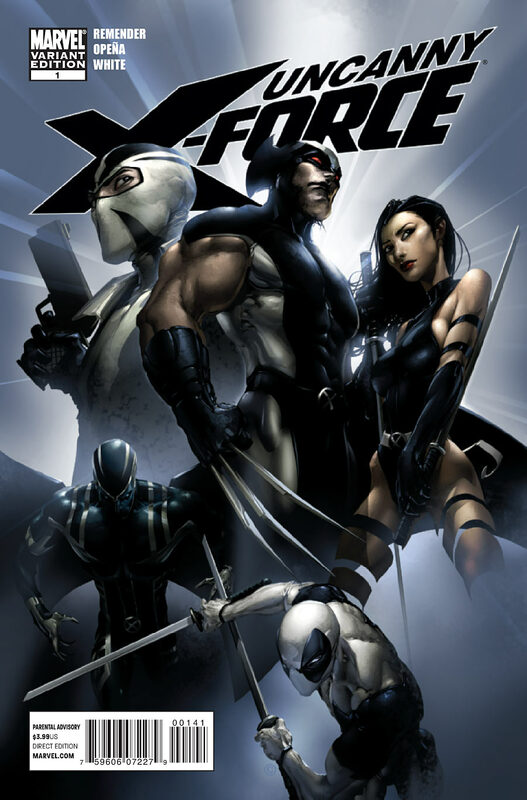 Rounding things out is the somewhat surprising inclusion of the Grant Morrison created, Fantomex who recently reappeared in Matt Fraction’s Uncanny X-Men. He’s an odd character that hasn’t been used much since Morrison’s New X-Men and I’m hopeful that Rememder has good things in store here. 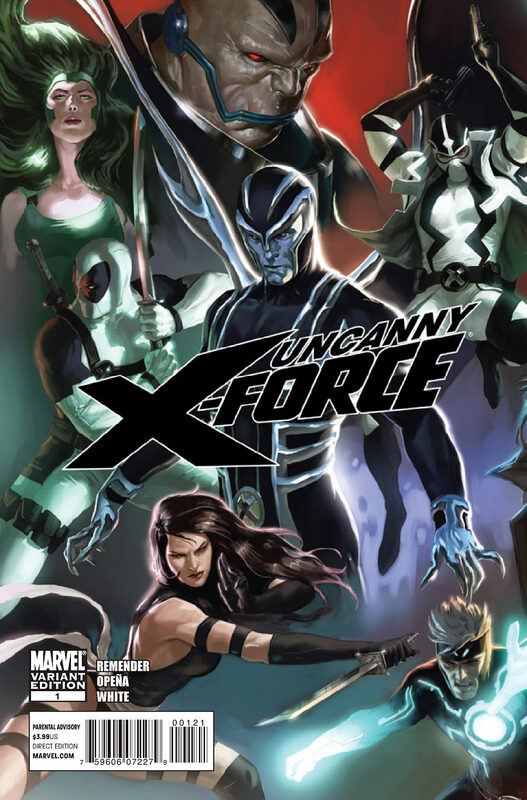 Other characters may be added to the mix as things go on (hinted at by the Djurdejic X-Men poster), which has certainly been true for each of the previous incarnations of X-Force, but things are starting out with a solid roster. 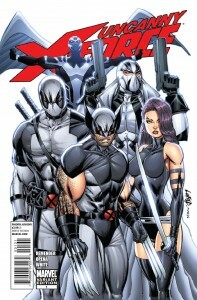 In keeping the ’90s tradition of variant covers alive, Uncanny X-Force has its fair share. 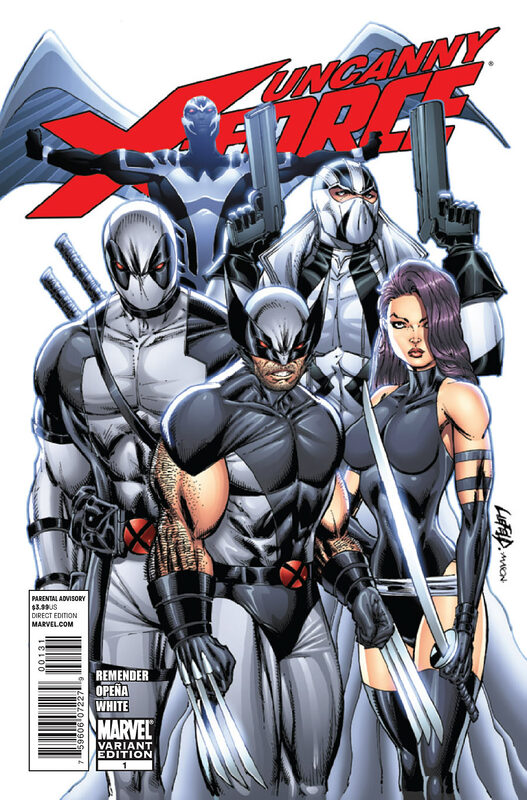 No less than six versions of the book will be available in varying quantities tomorrow by artists like Esad RIbic, Clayton Crain, Marko Djurdjevic, J. Scott Campbell and of course, Rob Liefeld. The obligatory “blank” variant will also be on the shelves, but this one lacks the blood splatter that went along with the vampire theme of this year’s X-Men #1. Midtown Comics has all of the variants available at the prices listed below along with the regular edition at $3.99. There’s also a $125 “premiere edition” that I don’t even completely understand what it is. In a month full of new X-titles (Wolverine, Daken: Dark Wolverine and X-23), it’s nice to see that this one has a rationale for its launch that July’s X-Men #1 was completely devoid of. 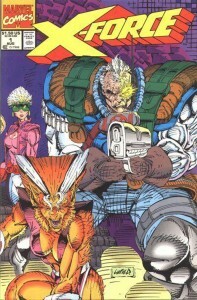 Regardless, having a new X-Men #1 along with a new X-Force #1 in stores does take me back to the very different world of 1991. Nostalgia is fun, but this book looks like it might have some great content to go along with it. I was highly skeptical about buying this early on, but I have been fully converted and I’m really looking forward to it’s release tomorrow. 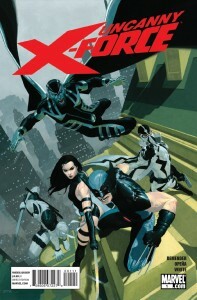 Again, I’m a sucker for X-Men stuff.